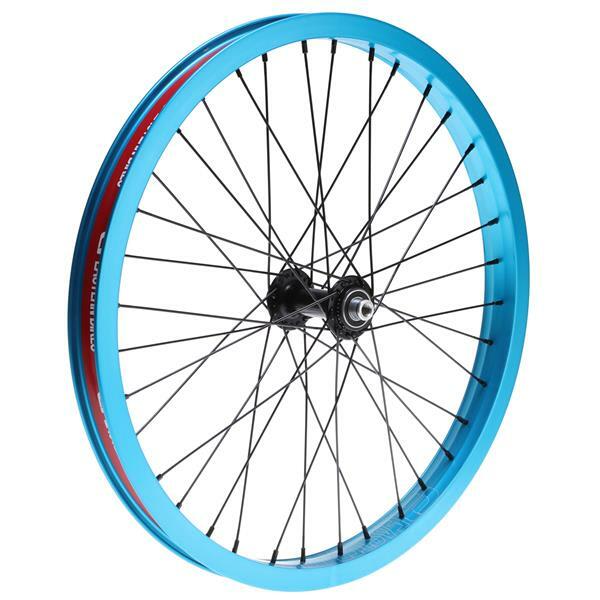 Eastern Venus Front 36H BMX Wheel 20"
Description: Eastern Venus Front 36H BMX Wheel 20"
Smooth rolling hubs, strong double-walled rims, female axles, hub guard included. BEST ANSWER: Unfortunately not, the wheel axle is a 14mm diameter which is much too large for the fork which accepts a 3/8" axle. That's a tough call, we don't have the specs for a '10 SE Wildman either. Do you have the Venus eastern front wheel in black ? And could you guys paint a wheel for me ? BEST ANSWER: We only have the color, "Hot Blue" available, as everything else is out of stock. We don't paint wheels. My son has a bmx kink bike we need a rear rim 20" 9t where can we get one at a reasonable cost??? Kink BMX bikes are actually pretty solid bikes... you may not want a "cheap" wheel. 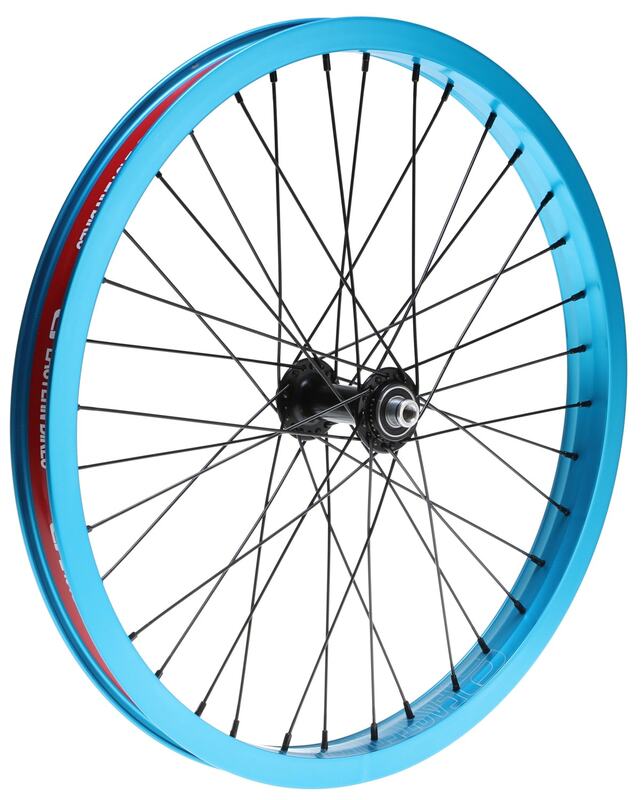 A typical entry level rim can be 50 buck and higher end ones being over 100. You will want to know the axle type, male or female axle, and if it is a 14mm hub. Assuming that is standard any of the 14mm rims here would work just fine. Including this one. If you tell me exactly what Kink bike it is, and close to the year, I can get you more info! Will they fit my redline frame??? BEST ANSWER: The Eastern Venus Front wheel fits into a 3/8th drop out fork. If your fork has a 14mm drop out then you would need to get shim washers to cover the extra room in the drop out.